If you have landed on this page, we are guessing you might be looking for some interesting details about SunflowMedia. Basically, We are a group of Growth Experts, but our company is built on these two main pillars. Google Adwords with expertise in Search, Display, Remarketing, Click To Call, VIdeo Ads Campaign. Roshan holds multiple certifications that adds value to his portfolio. He is a certified Google Marketer with Google Adwords Certificate, Google Analytics Certificate, Google Display Certificate, Adwords Mobile Certificate, Google Shopping Certificate, Adwords Video Certificate. 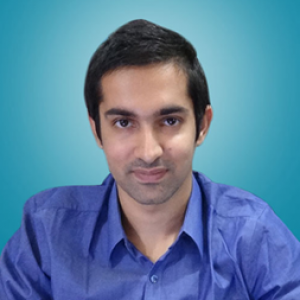 Because of his core interest in Digital Marketing, Roshan has completed Sunflowmedia no of projects. He holds marketing expertise in Real Estate, Mobile and Electronics, Consumer Goods, E-Commerce, Information and Technology, Manufacturing niches. Roshan is one of the leading Amazon Marketers at this date, and a leader SunflowMedia deserves. Second pillar of SunflowMedia is Lata Bajaj. A Google Adwords and Analytics Certified Individual with more than 8 years of industry expertise. Lata holds a prestigious name in Marketing and Advertising industry because of her immense passion and hard work in the field. She holds a tremendous 100% success rate in Amazon Sponsored Product Ads in Manufacturing, Retail, Education, Finance, Professionals, Real Estate, E-Commerce, and many other industries. 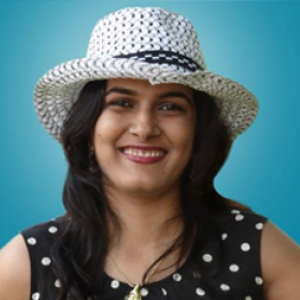 Lata is an expert in Amazon PPC Management, and a strong backbone of SunflowMedia. So, we are a dedicated team of Amazon Experts with these two important guides leading us. Success is a sure shot! Join hands with us to rank up your products on Amazon Search Engine, and increase your sales! I need help with search terms (keywords) on my Amazon listing! Roshan works extremely effective, does not waste any hour and does very much job in one hour. Great provider! High skillset, great communication, great turnaround time. Very professional! I will definitely rehire Lata and her team again! Really great help and always hard work , prompt response ! Definitely look forward to cooperation again later ! Roshan is a highly skilled SEM expert. Will definitely work with in the future and comes highly recommended. Roshan did a great job, was on schedule, able to re-adjust work per my recommendations. Great experience overall. Roshan helped us increase our sales and bring our ACOS to 2%. Highly skilled in his work. Recommended for Amazon and PPC related work. Lata and her team are great on what they do. Their communication skill is high and always available if i need her.